The head of the Transportation Security Administration (TSA) announced Thursday that he plans to retire at the end of the year. 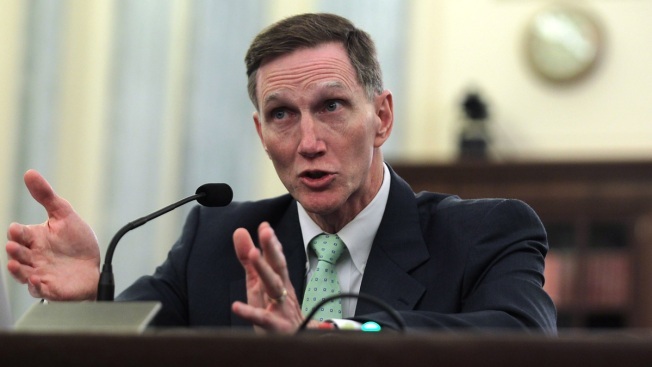 John S. Pistole is the TSA's longest serving administrator. He served 26 years at the FBI and four and a half years at TSA. "It has been an honor and a privilege to have served as TSA Administrator," Pistole said in a release Thursday. "No words can convey my deep gratitude for the hard work and dedication of the thousands of men and women committed to protecting the American public." The TSA was created shortly after 9/11 to improve the security of the nation's transportation system and to make sure commerce and passengers could move freely. After a year, the TSA took on the role of providing security at the nation’s airports and screening all commercial baggage and passengers. Pistole implemented a "risk-based" security philosophy which allows the agency to move low-risk passengers.The agency also works closely with aviation, rail, transit, highway and pipeline sectors. Pistole sparked controversy last year when he announced his plan to allow passengers to carry sports equipment, small knives, and other previously prohibited items onboard. He stated the odds of these items being used as weapons were extremely low, but critics forced him to back down. Pistole said he expects to accept a position in academia next year. Shortly after his announcement, Anderson University posted a statement on its website that said a search committee will propose to the school's board of trustees that Pistole be the school's next president. The university is located in Anderson, Indiana, Pistole's hometown.